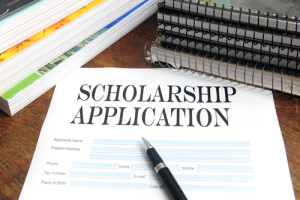 Home › FAQ › How Do You Find Scholarships? As the hefty price tag for a college education leaves more students strapped with student loan debt than ever before, it is becoming even more imperative that college-bound students know how to find scholarships. Since searching through the thousands of scholarships can be overwhelming, too many students depend on filing a FAFSA form and calling it a day, according to US News and World Report. However, scholarships are basically gifts can be used to significantly reduce the financial burden of college without the need for repayment. Many students mistakenly believe that there are only merit-based scholarships that require excellent grades, but there are many different types of scholarships for special talents, career interests, particular groups, and financial need. In this article, we will take a look at where you should look to find tons of money-saving scholarships. Once you have committed to a college or university, the first stop that you should make is your school’s financial aid office, because scholarships given directly by colleges are the most common type of funding available. Awards may be offered on a university-wide basis or within your particular department and major course of study. You can also check out your college’s website or academic catalog to find more financial aid materials. Since many colleges now automatically include all incoming students in the running for its scholarships when financial aid forms are submitted, talk with a financial aid officer to learn about the scholarship application process at your school. If you have already declared a major, you should also check with professional associations in your chosen field that may offer to hand over thousands of dollars in funding to help you get started in your career. Not only do these scholarships come with money to afford college, but they also will assist you in networking with professionals in your field, finding job listings, reading up on current updates, and building your resume. Nearly every major has a corresponding professional association that will offer scholarships, including the American Bar Association (ABA), American Psychological Association (APA), National Society of Professional Engineers (NSPE), American Marketing Association Foundation (AMAF), and many more. You may want to talk with faculty members in your major department for finding all of the resources offered. Your local community is one of the best ways for you to find free money to cover the rising expenses of college tuition. You will likely find scholarships sponsored by local branches of organizations, sports leagues, local businesses, churches, mosques, synagogues, and other religious communities. Start by asking around your local area, searching the Internet for scholarships that come from these organizations, and visiting your public library for more information on local resources. Making an appointment with your high school counselor or principal can also be beneficial in finding awards for students in your town, county, or state. Overall, it is important to remember that you may only receive one or two scholarships for every ten that you actually apply for. Therefore, you should tap into as many resources as possible during your scholarship search to have the highest chance of cutting your tuition bill, according to the College Board. Now that you know how to find scholarships in your financial aid office, at professional associations, and in local community/religious organizations, you should also expand your search to include federal agencies, state grants, employers, national foundations, and school networks.